Five years. That’s how long it took Himalaya Studios to develop and produce Mage’s Initiation: Reign of Elements. The game was a very successful Kickstarter campaign in 2013, doubling its initial goal pledge. Its main premise is a classic Sierra-style adventure and role-playing game combination, which is truly something we don’t see much anymore in this day and age. But a lot has happened since 2013 (like the launch of the most modern game consoles like PS4 and Xbox), so does can this game be relevant? I would say it depends on how you see it. Mage’s Initiation really pays homage to the Quest for Glory and King’s Quest games in its core. 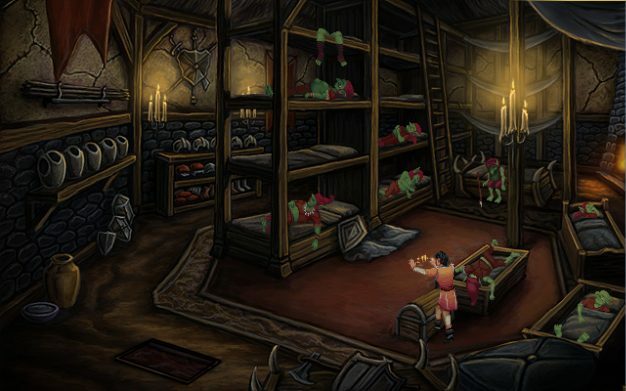 The game’s art style is one of those you’d instantly recognize from classic adventure games. It allows you to pick from several interfaces that mimic the Sierra Entertainment icon bar and LucasArts verb coin. 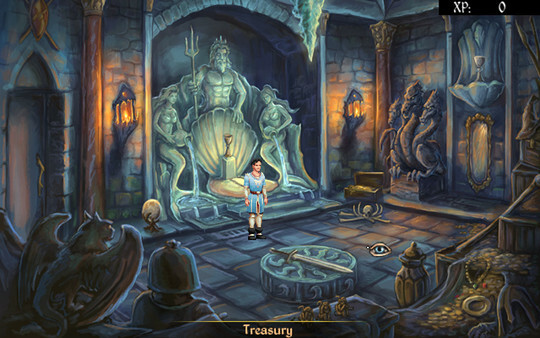 Most of the gameplay is a point-and-click adventure game where you must solve puzzles in order to advance the story. Storywise, in Mage’s Initiation, you play as D’arc, a mage plucked from his family while he was a young boy to train with mages in seclusion for a decade of his life. As a sixteen-year-old, he now must venture out in the world to complete his initiation as a mage by completing three tasks: a lock of hair from a priestess, an eggshell from a griffon, and a horn from a tricorn. If he completes these tasks, he will become a legitimate mage; if he fails, however, “nobody shall remember his name.” Sounds like D’arc has a lot on his shoulders, huh? Mage’s Initiation tries to cater to its “younger” players who may have not experienced a Sierra Entertainment or LucasArts adventure game by giving it a role-playing game component just like the Quest for Glory games. Initially, a few minutes into the game, D’arc is questioned by the four grand mages, in which his answers will give him the recommendation to follow one of the game’s elements: air, earth, water, and fire. That specific element will directly affect the spells D’arc will learn, how to solve some puzzles, and even a specific sidequest only available for that element. Mage’s Initiation does away with grinding in order to obtain experience points necessary for leveling up. Advancing the story, such as solving puzzles, choosing certain talking points, and even picking up story-related items is what earns D’arc experience points. After earning a certain amount, D’arc levels up where he may learn a spell and is given points to improve four of his statistics. The game also allows D’arc to customize his statistics by equipping gems in two sockets. These gems can be bought in certain shops or is a random drop from enemies. 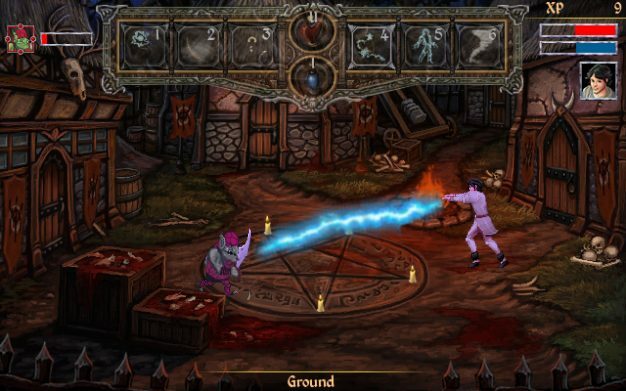 The battle system in Mage’s Initiation consists of D’arc using his learned spells to combat enemies. In the beginning, he has two main spells regardless of the element he chooses: one offensive projectile and a defensive wall-type spell. As a mage, D’arc doesn’t fight physically, but his enemies mostly do (unless it’s another mage or a monster with projectile abilities). Casting spells costs mana, but after a few seconds of not casting anything, it replenishes. So basically, the battle system becomes a form of a run-and-gun type of game: shoot an enemy, hope it hits, if mana is depleted, run around so that enemies won’t hit you. Fortunately, most of the enemies are slow, but then again the whole game is slow (we’ll talk about that next), so D’arc can really be killed if he goes head-on straight near a physical enemy or just doesn’t move while an enemy projectile is launched towards him. I actually recommend you to use keyboard controls rather than mouse controls, since you can really control D’arc better with the WASD keys than pointing your mouse to move on a spot. 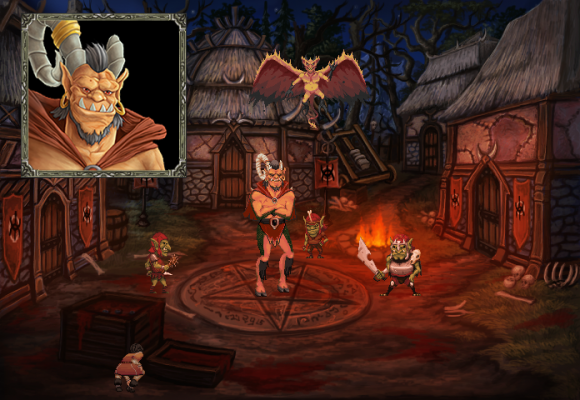 In keeping the pure gameplay point-and-click adventures of the past, Mage’s Initiation is a slow game. What I mean is, if D’arc is commanded to interact with an object or person that is far away, he will saunter slowly to get near it. When I mean saunter, it’s a slow walk. Fortunately, double-clicking on a spot makes D’arc run, so it’s 10 times better if you run near the object or person before interacting with it. That’s also because once you have commanded him to interact, there’s no way to cancel it. Good thing that you can click through dialogue to advance it quickly. Which brings me to replayability value. While, yes, you can play Mage’s Initiation four times picking a different element each time, the novelty on each playthrough is not that much. You still will somewhat pick the same choices to advance the storyline, just skinned in a certain elemental ability. There is the certain sidequest for the element you pick, but it’s a small thing compared to the slow pace of the game you’ll have to endure again. Overall, if you’re a fan of old Sierra and LucasArts adventure games, you’d find a lot of common ground to justify picking up Mage’s Initation. Unfortunately, for others who aren’t fans, this may be a game you may want to try a demo first before going full on. A demo can be found on the game’s Kickstarter page.